Feminine, dangerous and fun. Urban Decay appeals to women who relish their individuality and dare to express it. From our insane range of velvety Eyeshadows—including the bestselling (and often-copied) Naked Palettes—to our award-winning eye liners, budge-proof mascaras and legendary Makeup Setting Sprays, we’ve been shaking up the industry for over 20 years. Discover Urban Decay store, exclusively at Debenhams Mall of Cyprus Nicosia. The Captivating Collection of Exotic Luxury Unisex Fragrances. 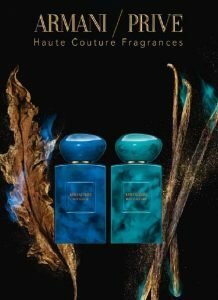 Haute couture unisex fragrances made to be enjoyed by men and women alike, that showcase the natural beauty of a single precious ingredient. Armani Privé fragrances embody scents from around the world. The collections compose a versatile wardrobe suited to an array of moods – to be worn by men and women alike. 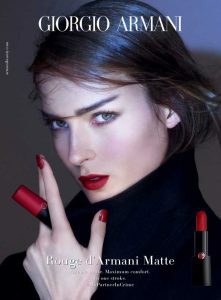 Giorgio Armani Beauty, is innovative cosmetics tailored to perfection with rich, long-lasting color and irresistible texture. Tailored to perfection and offered in sleek and luxurious containers and packaging, the innovative makeup formulas from Giorgio Armani seduce even the most demanding women. Discover the first global grooming brand House 99 by David Beckham. A complete collection of 18 innovative products to conquer every style ambition. HOUSE 99 takes a holistic approach to grooming, merging British barbershop culture and style with hair, skin, beard and tattoo creativity to build a home for every man’s next look. House 99 is here to support men, to give them the tools they need to create whatever look they want. 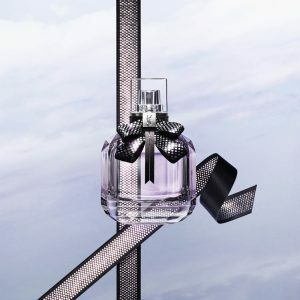 Discover the new La Nuit Trésor À La Folie perfume for her. Experience the thrill of love with notes of Rose Essence, Bourbon Vanilla and Patchouli. Discover the new La vie est belle L’Eclat for her. This fragrance embodies the sparkle of the orange blossom, radiant fresh and sophisticated. For the woman who is looking for a fragrance that is fresher and lighter. Discover the new Mon Paris for her. This fragrance that urges you to seize the moment transcend the present and prepare to fall head over heels into the arms of a passionate love. Discover the new Black Opium Glowing for her. The composition is a zesty and sweet floral-oriental with a recognizable gourmand coffee accord that is refreshed by pear and citrus accords in the top in this variant. The heart is composed of white flowers placed on an oriental and woody base. Discover the new Acqua Di Gio Absolu fragrance for him, celebrating the union between freshwater and warm wood. Discover the new Si Passione for her. An intense, uncompromising scent for a confident woman who dares to say yes. A floral heart beats passionately with rose and feminine jasmine to create a powerful scent, like a seemingly fragile woman who shows incredible strength when guided by passion. 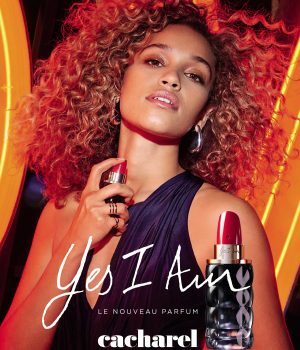 Discover the new perfume Yes I Am for her. First Spicy Cremoso fragrance in the market, combining powerful oriental notes with addictive fresh flower accords, creating together the daring Spicy Cremoso accord.